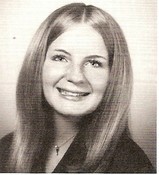 THOMPSON, Rebecca Jean (Vermillion) 57, of Coca, FL passed away Monday, June 17, 2013. Born December 3, 1955 to William and Janet Vermillion in Piqua, OH. Survived by her husband, John, sister Brenda Leffel, brother Shawn Vermillion, step sister Kelly Rice. She graduated from Springfield North High School in 1974. Graveside services at Evergreen Cemetery, St. Paris, OH July 16th at 2:30 pm conducted by Pastor Jim Welch.